Chin na or Qinna (Cantonese Yale: kàhm nàh) is a Chinese term describing joint lock techniques used in the Chinese martial arts to control or lock an opponent’s joints or muscles/tendons so he cannot move, thus neutralizing the opponent’s fighting ability. Chin na su (Chinese: 術; pinyin: shù meaning technique) literally translates as technique of catching and locking in Chinese. Some schools simply use the word na to describe the techniques. Chin Na features both standing and ground based grappling techniques. Some Chinese martial arts instructors focus more on their Chin Na techniques than others. This is one of the many reasons why the Chin Na of one school may differ from that of another. All martial arts contain Chin Na techniques in some degree. The southern Chinese martial arts have more developed Chin Na techniques than northern Chinese martial systems. The southern martial arts have much more prevalent reliance on hand techniques which causes the practitioner to be in closer range to their opponent. There are over 700 Chin Na traditional techniques found in all martial arts. In the Non-Temple White Crane style there are 150-200 Chin Na techniques alone. Along with Fujian White Crane, styles such as Northern Eagle Claw (Ying Jow Pai) and Tiger Claw (Fu Jow Pai) have Chin Na as their martial focus and tend to rely on these advanced techniques. Since Chinese culture has influenced countries like Japan and Korea, Chinese martial arts has influenced their indigenous styles as well. Aikido and Jujutsu developed in Japan, and Hapkido found in Korea, had taken their Chin Na techniques from Chinese martials arts. 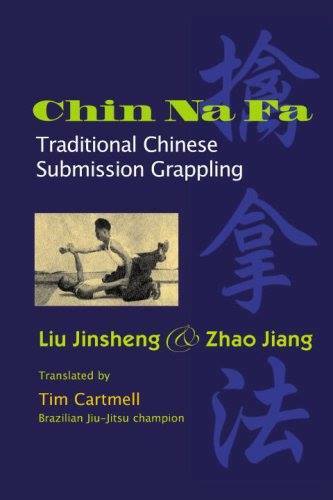 One can see that many original Chinese Chin Na techniques resemble those found in other grappling based arts such as Brazilian Jiu Jitsu. Depending on the school and instructor, Chin Na is assembled in different ways. Some Chin Na systems resemble Brazilian Jiu Jitsu due to their focus on ground grappling. Another may be more similar to Judo due to their focus on standing Rou Dao (the soft techniques of Chin Na). The next school may appear more like Hapkido due to their focus on wrist and small joint locks. There is no universally accepted systemized form of Chin Na. Instead, each school varies due to the instructor’s training and/or personal preference of focus. OUR CHIN NA ( KUNG FU GRAPPLING ) COVERS ALL TYPES OF SITUATIONS INCLUDING THE MOST THOROUGH GROUND FIGHTING TO BE FOUND ANYWHERE. Rare video footage of Chiu Wai performing Fu Hok. Came across video on youtube. Thank you to ohivregamoto for sharing video on youtube.